Given the extent of the structural shifts in politics in post-2003 Iraq, the level of destruction in the liberated areas and the depth of distrust among communities, the challenge of post-ISIS recovery could not be greater. 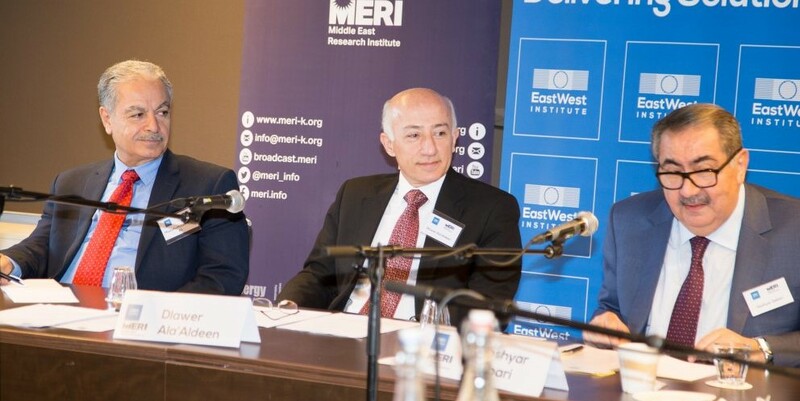 To create an inclusive political order in Nineveh and provide a successful model for other parts of Iraq, policy- and decision-makers must engage in constructive debate, share visions and develop strategies tailor-made for the province. 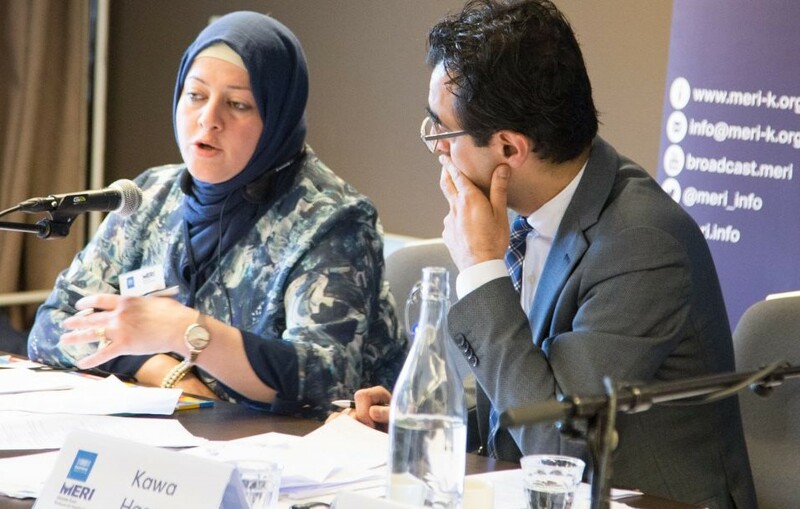 To facilitate such debate among local, national and international stakeholders, the Middle East Research Institute (MERI) and the EastWest Institute (EWI), sponsored by the Konrad-Adenauer Stiftung (KAS) Syria/Iraq Office, hosted a dialogue and brainstorming workshop in Loosdrecht, Netherlands (May 31-June 1, 2017) for representatives of Nineveh’s ethnic and religious communities, members of the Nineveh Provincial Council, the Iraqi Federal Government, the Kurdistan Regional Government and a selection of international donor countries and international non-governmental organisations. provide a platform for strategic, thought-provoking and action-focused dialogue on the process of post-ISIS reconstruction in Nineveh over the short, intermediate and long-term. support the development of coherent policy responses to the most pressing issues facing Nineveh whilst taking into account the political, sectarian, and ethnic diversity of the province. In addition to thorough discussions on priority issues such as stabilisation, reconstruction, reconciliation and the return of IDPs, the ultimate focus was on the political dimension of governance. This includes the political and governance system (centralism, decentralism, federalism, one governorate or multiple governorates), the future of the disputed territories, power and revenue sharing. 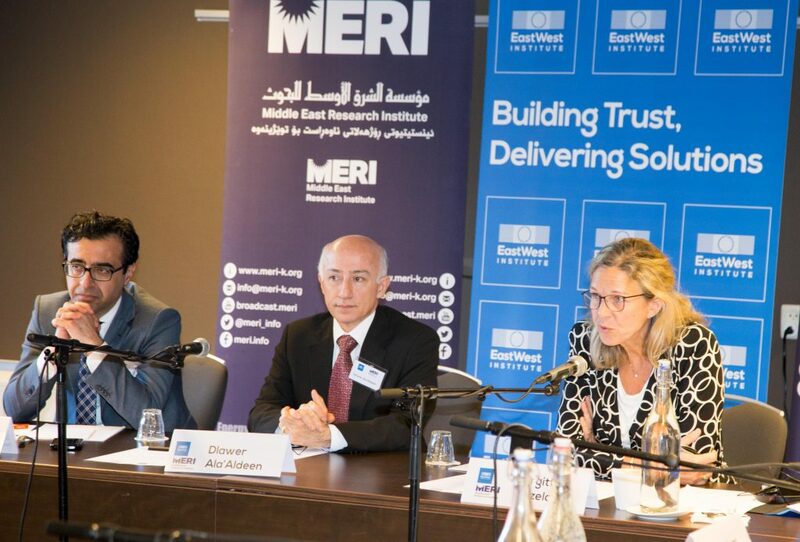 Lessons learned from the political reconstruction of post-2003 Iraq were important to guide discussions, however, the debate focused on how Nineveh province could provide a good model to later expand into an overarching project on post-ISIS governance in the rest of Iraq. What is the current political, military and security situation? What are the prospects for the coming 12 months? What are the security arrangements to help stabilise the liberated areas and what are the challenges? What public services have been restored? Where are the IDPs currently and what proportion have gone home so far? Assessment of the areas and the intensity of damage. Defining the magnitude of the challenge. What plans are in place for funding and executing the reconstruction process? National and international contributions and coordination. How can trust be rebuilt between communities to bring back a sense of normality? How can trust be re-established between people and authorities? How can justice be established? Comparative analysis of post-2003 and post-ISIS reconstruction. What worked, what didn’t, and why? Which type of governance arrangement would serve Nineveh best: centralism, decentralism, federalism, one governorate or multiple governorates? How can the future of disputed territories be solved? How can power and revenue sharing be ensured? What are the international actors’ main concerns and priorities? What has been the level of engagement and contribution by the international community in the processes of stabilisation, humanitarian aid, reconstruction (planning, funding) and reconciliation? What more can they do to help to achieve long term peace, stability, good governance and de-radicalisation?